Demand for quality apartments in Melbourne’s inner east was highlighted in the last week with developers purchasing sites at Camberwell and Armadale for a combined $9.3 million at record land and unit prices. 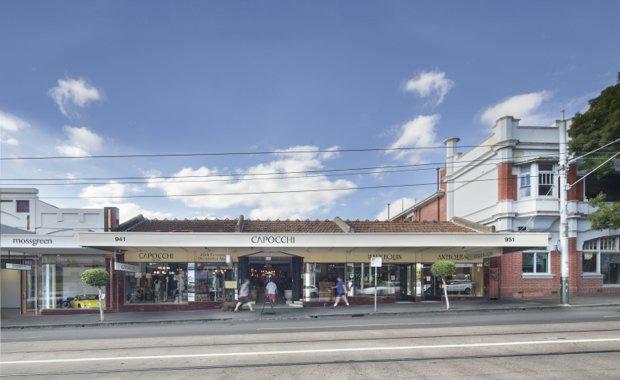 Savills Director Nick Peden who sold both properties with Clinton Baxter, Jesse Radisich and Benson Zhou, said the 941-951 High Street, Armadale and 584 Camberwell Road, Camberwell, sites drew enquiry from local, interstate and off-shore developers. High Street sold for $7 million to a local developer at a record land rate of $8652 a square metre, while the Camberwell Road property sold with a permit for luxury apartments to an off-shore buyer prior to the scheduled auction for $2.3 million at a record rate per unit of $383,000. The 809 square metre High Street property looks set for a circa $50 million residential/retail development on the site which has been home to the iconic, Capocchi Antique store, while the 577 square metre Camberwell Road site has a permit for a luxury, oversized apartment, project. Mr Peden said the demand for apartments in boutique developments remained very high particularly in the best locations. "Demand for apartment development sites in Melbourne has been very strong over the last few years and it remains so and particularly for boutique developments in suburbs in the coveted inner east," he said. "Both of these sales set records and that reflects the enormous amount of enquiry we had for both properties. "Mr Peden said apartment demand was being driven by population growth, the recent trend to downsizing and remaining in the same suburb, lifestyle, and by location. March figures from the ABS put Melbourne’s population growth at 2.4 per cent in 2016 – the fastest in the nation - (Brisbane grew 1.8 per cent and Greater Sydney 1.7 per cent) while four of the five fastest growing suburbs in Australia were in Victoria. Mr Radisich, Mr Baxter and Mr Zhou all agreed that the location was the key attribute in both sales. They said both properties occupy premium locations with regard to high profile, luxury shopping precincts, public transport, and an array of essential services and entertainment options including cafes and restaurants, along with close proximity to some of Melbourne’s best schools.